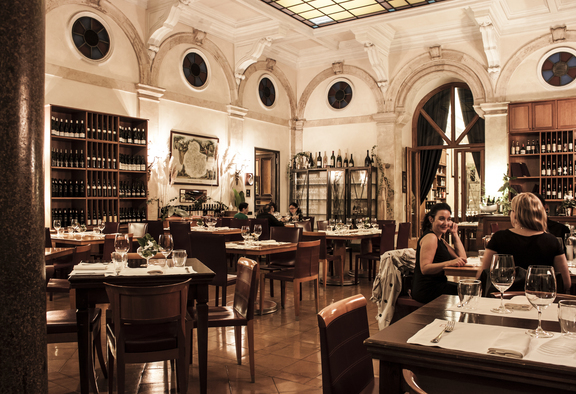 After a really casuaal and challenging day visiting the treasures of Rome, you really deserve a relaxing night in an amazing and famous restaurant located close to the Pantheon. Taste and amazing gourmet dinner with good wines with foodies in a really stunning place. Meet me in the Pantheon area earlier in the evening and ready for your tasty experience centralized on samples of regional food paired with superior wines from the chef and the sommelier following seasonality. Meet the owners of the restaurant, you are greeted with a smile and a handshake as if you were in the living room of their home, true lovers of Italian cuisine as well as new vineyards, small producer of cheeses and products out of the large distribution channels. Indeed, during the renovation works of part of the Palazzo, was identified at the level of the cellar floor, an imposing Roman structure, made entirely of square work, incorporated in the cellars of the above sixteenth-century building. The cellar floor is the set of our aperitif. Take a ride of the cellar and discover tradition, history in a really amazing place. After the aperitif, access the reserved table and start to taste some of the specialties of the house and learn about the history and the tradition. From the aperitif to the dessert in Italian style , be ready for a trip through senses discovering differences and highlights of food and wines of Italy. 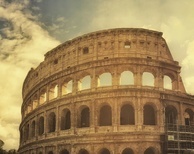 Why this is the best dinner event of Rome?